Discussion in 'Pin Trading Gatherings' started by pretty Omi, Mar 14, 2018. I figured this deserved a thread here in the events space! Generally every Sunday there are pin traders gathered in the picnic area outside the theme parks (but still on property) or in Frontierland inside Disneyland park. Since Thursday is new pin release day, they can be found usually in Frontierland as well. I can't always guarantee which forum members may or may not be there, nor how many, but there should be at least some people trading. 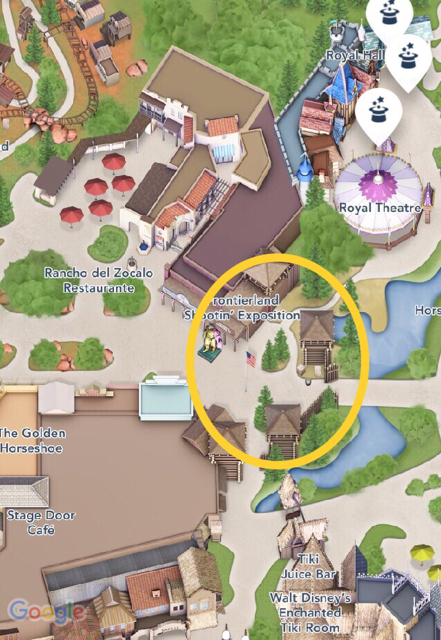 Here are some details and even maps to give everyone a general idea of the areas, I took these as screen shots from the Disneyland app! Picnic Area. 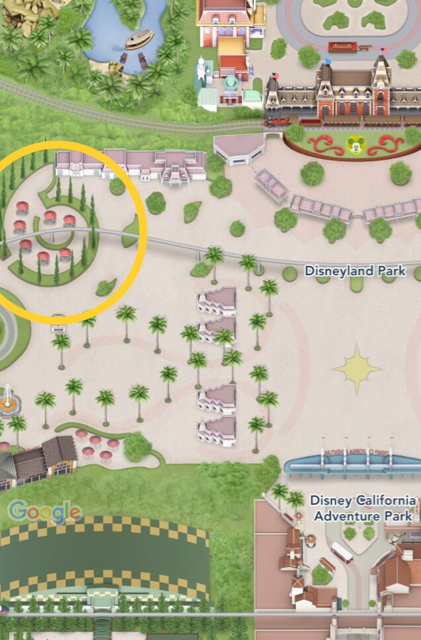 This area is obscured by tall hedges, but is near the TRAM drop off. There are restrooms just outside the hedge next to the locker area. There are also lockers inside this picnic area. This area has lots of tables and lots of shady spots! This area is OUTSIDE of both theme parks, but nearish to Disneyland's entrance. No park admission required! Pin traders can be found here early in the mornings but do seem to gather more after noon, and are usually here until it gets dark. Frontierland. This area is near the Westward Ho pin store. There are a few benches, but people usually display their pins on them, or even on the tops of trash cans. There are generally no tables here, and you likely have to stand next to your pins. There is one barrel table outside the door of the bigger shop Pioneer Mercantile, just across from Westward Ho, where you may find several people gathered around. This location is INSIDE of Disneyland park, and thus requires park admission. These are currently the only two areas I know there's for sure trading going on. I don't know if people meet much in DTD at that pin shop anymore. Some pin traders still meet in DCA near Goofy's Sky School early on Sunday mornings, but I've been told they have to clear out of there before noon, and if there are also too many people they will be asked to leave. Disney managers do not really want people trading over there anymore, because it takes away from tables for guests trying to eat at the restaurants. Connies_Hobby and sirradel like this. Wow! I never knew this. I'll have to swing by, maybe aim for a Thursday...Is it generally all day Thursday as well, or any particular time? Myself and @snwwht85 will be trading tomorrow! Sometimes we move around, so if you want to meet us for sure, DM me! I didn't know people hung out at the picnic area. I always saw people trading pins in front of the pin shop in Frontierland. Hm.. I might stop by to check out the pins this Sunday. How many bags does security allow you to bring in? never knew this - if we're ever there on those days we'll have to check it out! I'm not sure, while I know they have imposed limits in the past, I don't know if there is one now. I have seen people with up to 3 pin bags. One lady came with a bunch of Disneyland bags that were full of binders and ziplock bags FULL pins and she just spread them all out on the table! Thank you for the update. I have heard there was a previous rule of 2 binders max but maybe it's 2 bags max which can hold up to 2-3 binders. Always watch your pin bags, watch your book while someone looks through it, don't bring so many books you can't keep an eye on them all, don't leave stuff out on tables that doesn't need to be there. Keep your personal items close! There have been reports of individual pins being taken out of their books after someone flips through them, little blue baggies with someone's purchase being left on a table and suddenly going missing, and even someone who said their entire bag got stolen. I'm heading out now, if anyone will be there let me know! Traders still meet in the parks on these two days, for anyone who may be visiting! Ooh! I'll be in town 11/28 - 12/2. I'd love to meet some DPF members and maybe trade a little bit if anyone will be around. Many should be at DLR 29th for pin release.